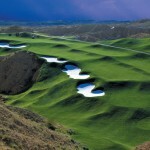 Opened in 2000 and continues to raise the bar when it comes to golf excellence. 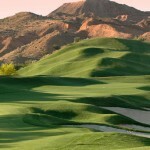 The par-72, 7,018-yard layout mesmerizes and challenges players from start to finish, no matter your playing ability. Lush green fairways wind through the rugged desert terrain and elevated tee boxes greet players with immaculate views of the course. 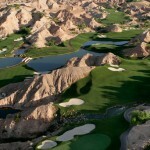 Wolf Creek’s stunning layout and the staff’s attention to every detail make a round of golf here memorable.